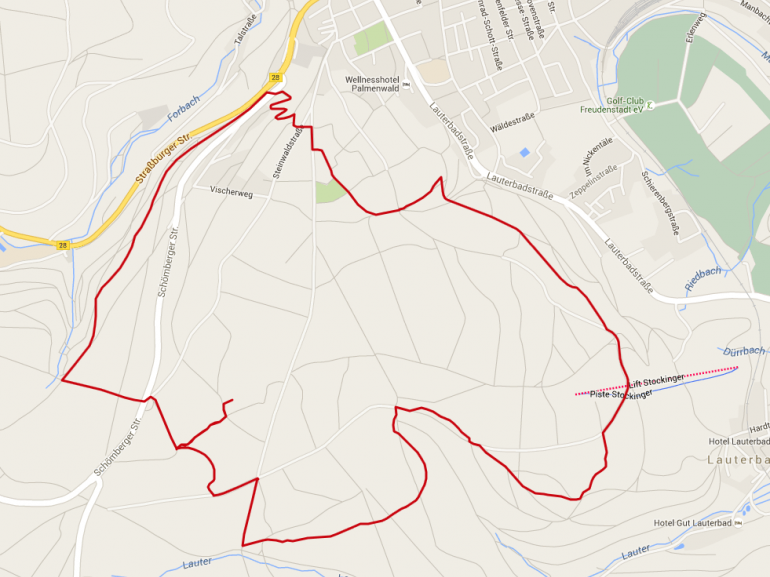 Why we love it: A few steps from the path is the largest tree in the Black Forest! Our Advice: We recommend good shoes suitable for hiking. The starting point of this tour is the parking lot of the forest Teuchelwald. Among giant firs we proceed in the woods to reach after a short time the cozy Waldcafé. The Waldcafé, since 1892, invites you to rest under the pine trees and pampers guests with homemade cakes. At the Agnes shelter the trail turns left towards the Agnesruheweg, slightly uphill. Arrived to sign Wölperweg (about 250 meters), a left turn on a forest road leads to the idyllic lawn with benches to rest. Here you can enjoy the sun, as well as the songs of the birds. Returning to Wölperweg we enter the forest to the refuge Lauter. 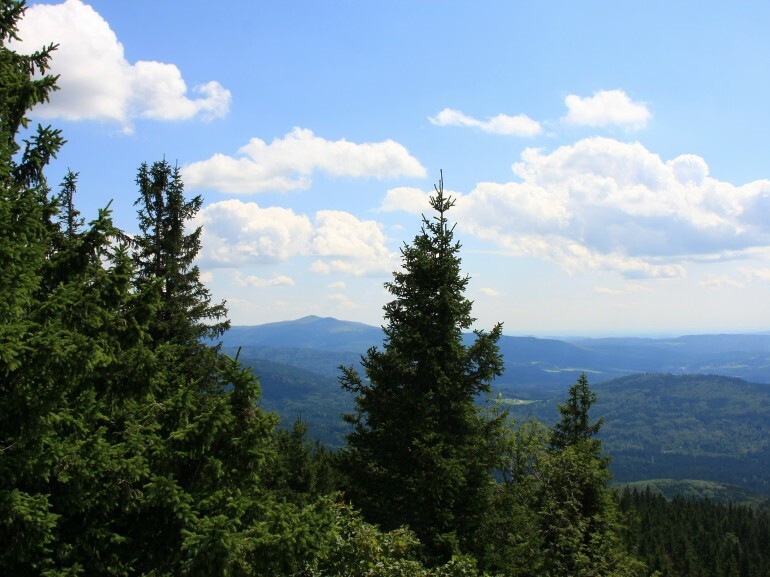 With a deviation of 1 km you can reach the most impressive fir in the Black Forest with its 47 meters high. At Lauter refuge, turn right along a beautiful natural path through idyllic silence. The next highlight of the tour is the new refuge Lauterbad. The view from here extends far beyond the hills from the foot of the Black Forest to the Swabian Alb. Well rested, the path now leads you to the upper Palmenwaldweg to Kienberg (Friedrichshöhe). Here several sculptures, a meadow and a resting spot for hikers await you. The climb to the tower of Herzog-Friedrich is highly recommended because it provides once again a fantastic panoramic view of the forests and ridges of the Black Forest. On Rosenweg, the highest in Germany, exceeded the park MiniGolf Kienberg we reach our point of arrival and departure. For the more motivated hikers different keep-fit stations await them.